Effective January 1, 2012, Texas Senate Bill 1107 requires all entering students at public and private or independent institutions of higher education to have an initial bacterial meningitis vaccination or booster dose during the five-year period preceding, or at least 10 days prior to, the first day of the first semester. Students affected by the mandate must submit proof of vaccination before the 10th class day to the Office of Admissions and Records. 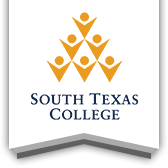 South Texas College wants to stress the importance of consulting a physician about the need for an immunization against bacterial meningitis to prevent the disease. Meningitis is a very serious, sometimes fatal, disease that is easily spread on college campuses and we are trying to take all of the proper precautions to protect the health and well-being of our students.